You have questions about a point of interest, an exhibition or a historical building? You would like to receive current timetable information quickly? You would like to reserve tickets for a concert? 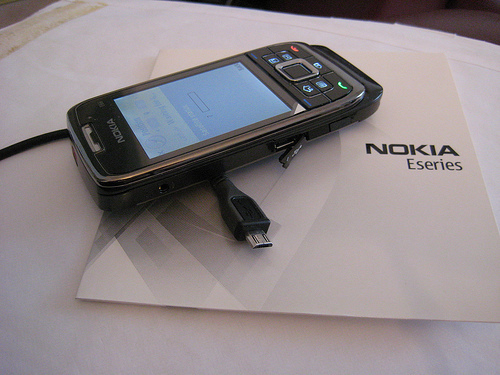 Using the LINKBOX provides direct on-the-go access to all relevant information without having to type in internet links on your cell phone keypad. Plus: always get up-to-date information; be it changes to timetables and delays or availability of tickets in real time. And because you can easily bookmark the link in your mobile phone you can always access it later to show your family and friends or even send it to them through your phone. 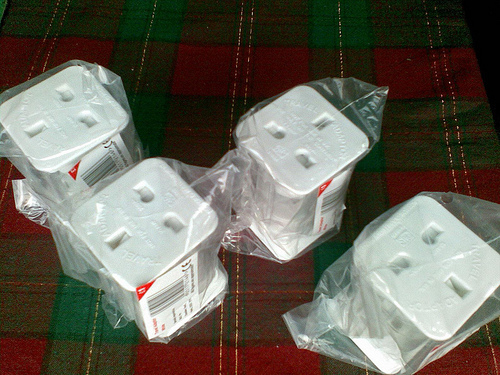 This entry was posted in osde and tagged barcode, mobile, qr code on 27/06/2008 by osde8info. Connector helps you fill in the connection gaps with your friends across the services you use. If you're friends on MyBlogLog, you probably should be friends on the other services you use. This will help you do just that. Click a green plus icon ( ) below to connect to a friend at a service. If you want to open all connections with a friend, click a green arrow icon ( ) and multiple windows will open with your friend's profiles. As oAuth becomes available, we will be able to make connections without opening a new window. This entry was posted in osde and tagged business media network, connector, del.icio.us, flickr, last.fm, mybloglog, oauth, pownce, social media network, y!, yahoo on 27/06/2008 by osde8info. 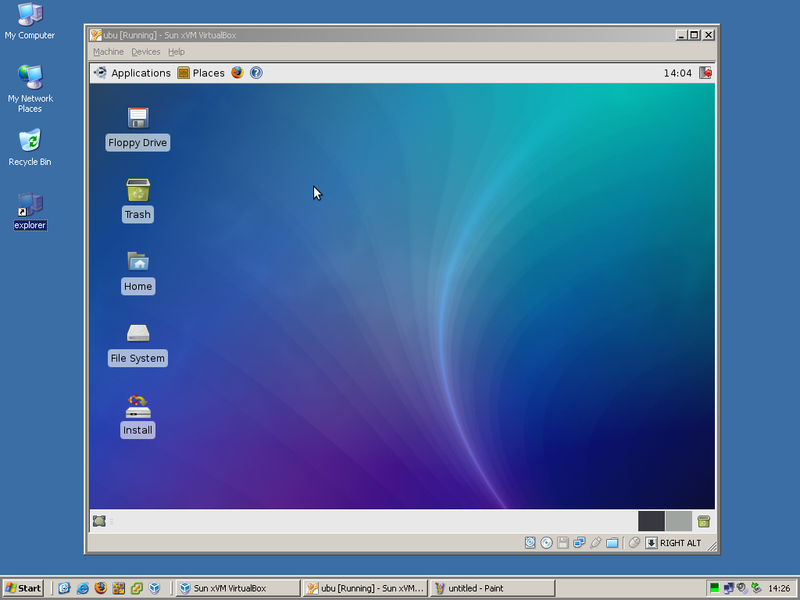 VirtualBox is an open source VirtualBox virtualisation platform from Sun. This entry was posted in osde and tagged gnu/linux, mac osx, open source, virtualbox, virtualisation on 25/06/2008 by osde8info. Java SE 1.4 will reach End of Service Life (EOSL) in Oct 2008 so if you or your application still needs to use 1.4 you may need to purchase Java SE for Business instead ! This entry was posted in osde and tagged end of life, eol, eosl, j2se, java, java se for business, jre, jvm, sun, support, update on 24/06/2008 by osde8info. 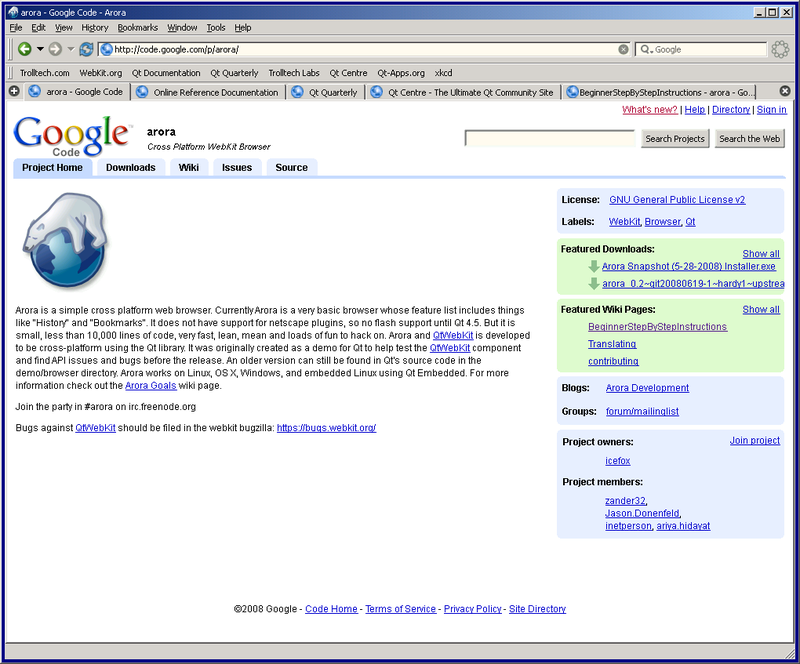 Arora is a simple cross platform web browser. Currently Arora is a very basic browser whose feature list includes things like "History" and "Bookmarks". It does not have support for netscape plugins, so no flash support until Qt 4.5. But it is small, less than 10,000 lines of code, very fast, lean, mean and loads of fun to hack on. To make rapid progress possible, we try to keep the code relatively easy to understand, straightforward algorithms and data structures are used when possible. Consistent code styling, clear, maintainable code, and we continue to improve names and code structure to aid understanding. According to my google analytics web statistics Firefox 3 is already the second most popular version (@ 20%) of Firefox for visitors one of my sites ! This entry was posted in osde and tagged 3, browser, firefox, google analytics, web analytics, webstats on 20/06/2008 by osde8info. 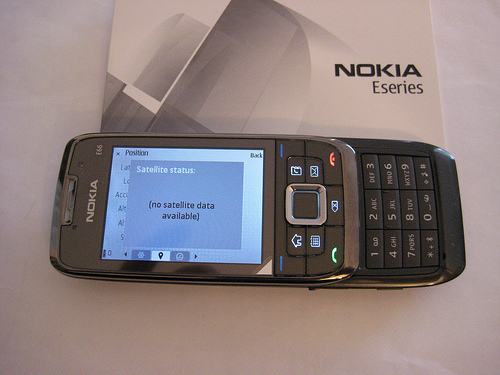 This entry was posted in osde and tagged e66, eseries, gps, mobile, nokia, phone, wi-fi on 18/06/2008 by osde8info. This entry was posted in osde on 13/06/2008 by osde8info. Recently spotted and bought (and resold) ! This entry was posted in osde and tagged bargain, cheap, external, hard disk, staples, tesco, usb on 13/06/2008 by osde8info. 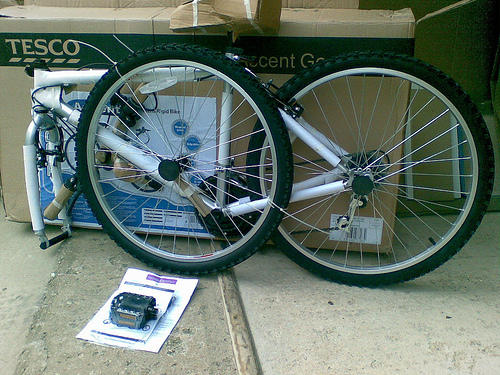 This entry was posted in osde and tagged 50% off, bargain, bicycle, sale, tesco on 13/06/2008 by osde8info.